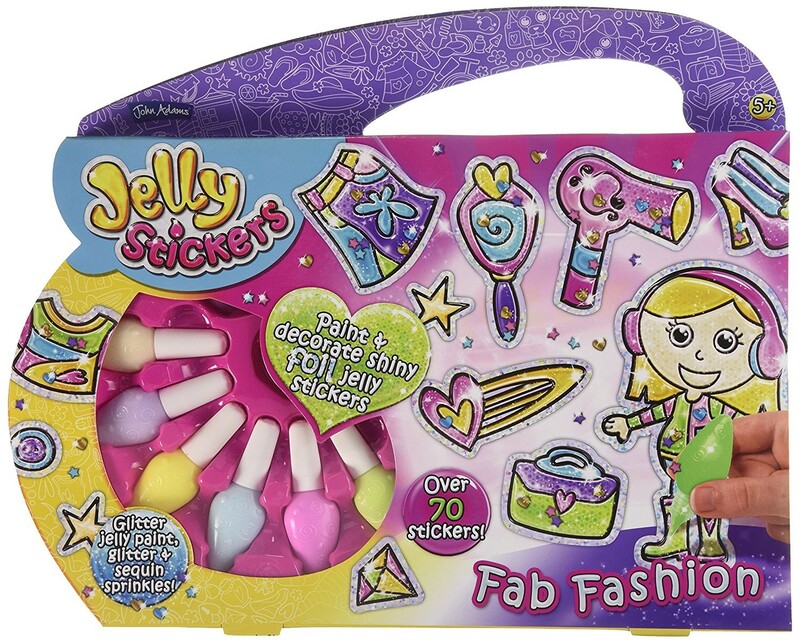 Jelly Stickers Super Activity Pack Fab Fashion by John Adams. Paint and decorate over 70 Shiny Foil Jelly Stickers. 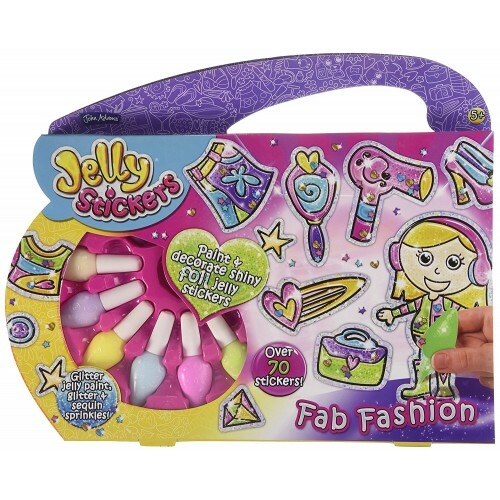 Includes 6 jelly paints plus iridescent glitter frosting and mini star & heart shaped sequin sprinkles plus a special swirling tool to add extra effects.